I consider myself a supplement user and have been so for awhile! Now, I am fully aware of the back and forth between the press and the nutrition industry. I even understand why the press is mostly antagonistic--it's because of the charlatans in the nutritional field, the ones who ride on the backs of the legitimate, scientifically backed, conscientious, companies who are advancing the health of millions of Americans everywhere. These sad impersonators have nothing to offer except disillusionment. It's a shame. We could be a more healthy population if people saw more of the positive results from actual scientific findings in nutrition. In addition, nutrition companies have to adhere to the behemoth FDA, that insists that any supplement claims, regardless if it is backed by solid science, have to state they are not evaluated by the FDA and that they can't claim treatment, cure, or prevention of any disease. The one positive take-away is that it does tend to make us responsible for our own research and health choices. But really, who can compete with the giant pharmaceutical companies, with their billions of advertising dollars and virtual free rein in the medical field? This site accepts product samples and/or compensation. Affiliate links may be used to support this site! As a user of supplements, I realize that they are just that--supplements, not made to replace a healthy diet. Healthy food is the best way to get nutrition. But even though I may strive to obtain the healthiest foods, in the healthiest amounts, along with regular exercise, I am still very unlikely to assimilate all the necessary nutrients for optimal health. I started really believing in supplementation in my 30's, after my energy levels began to deplete for unexplained reasons. Fortunately, I found that my energy started coming back after a few weeks of taking some high-quality, absorbable multi-vitamins. Rather than depending solely on supplements, however, it motivated me to strive harder to consume healthy foods. 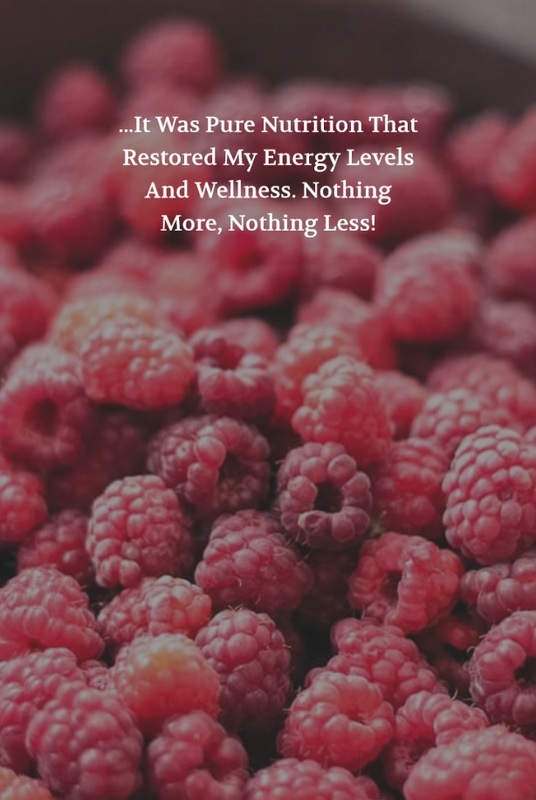 It was pure nutrition that restored my energy levels and wellness. Nothing more, nothing less! I wanted to continue to optimize that process through real food, and supplementing to fill in the gaps. That philosophy has served me well. I'm not perfect in my nutritional quest, however. My philosophy is to do the best I can with good tips, information, and products, all without placing undue discomfort into my life! Life is too short for self-imposed suffering. After all, I have a grandfather who lived until 92 years of age without any kind of medication to aid him. His philosophy was "If you can't enjoy a good meal once in awhile, there's no reason to live!" He did love his food! And that food included a lot of nutritional no-no's! As I mentioned above, there are always counterfeit companies that claim to boost nutrition when all they do is add an additional expense. One should always make sure nutritional companies can back their claims with endorsements from reputable sources. 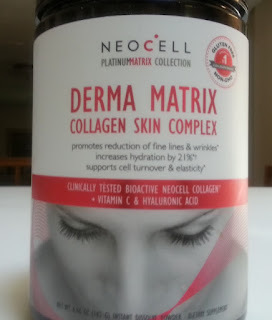 My past reviews of Neocell have left me very impressed and committed to their nutritional supplements. Neocell is part of a select few of nutritional companies that are committed to the continued study of nutritional excellence. Often given awards for their excellent nutritional supplements, especially in the field of beauty, they continue to retain their stellar reputation. It's a real concern--please step up if you don't mind losing your skin elasticity, the luster of your hair, or nail strength! All of that is based on the healthy simulation of nutritional compounds! If that nutrition isn't maintained, the inevitable result is loss of those things, along with posture because of weakened bones. No pharmaceutical can ever reproduce what nutrition gives you naturally! And so with their continued research, it's only expected that they would introduce some awesome new products! 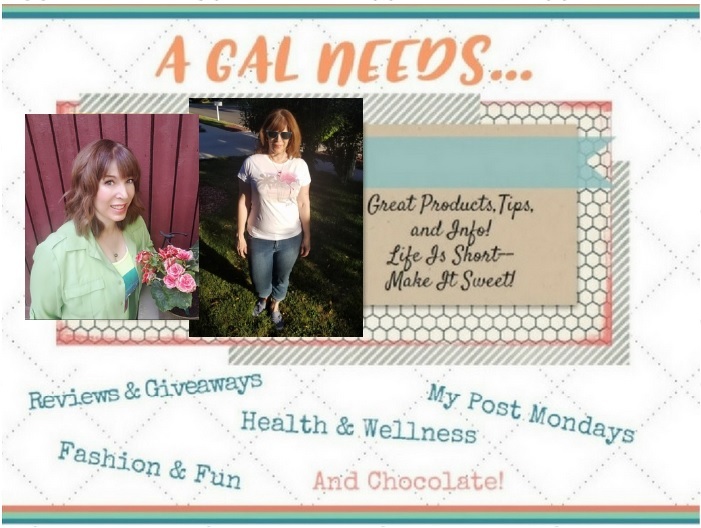 I was excited to review these groundbreaking items! These are individually wrapped, soft chews that are delicious! 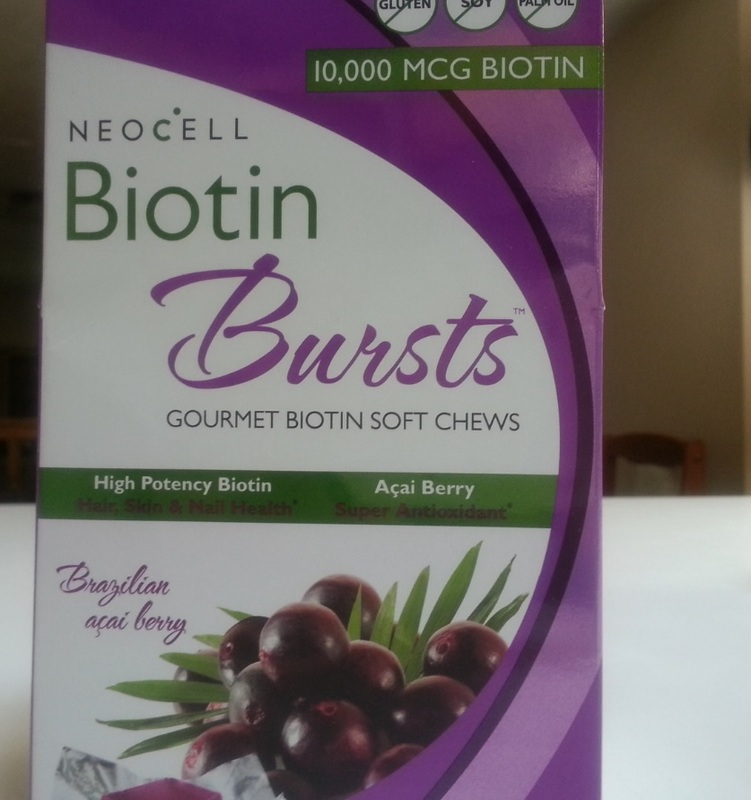 I love the Braziliian Acai Berry taste and the convenience of being able to conveniently have them in a purse or pocket to take when the time is right! Ceramides are plentiful in youthful skin and are what make it firm and able to bounce back, even after smashing face in pillow all night long! Ceramides provide a water barrier to the skin’s outermost layer, thereby preventing the evaporation of moisture through the epidermis. As we age, those ceramides decrease and the ability of the skin to recover and retain moisture diminishes markedly. Many cosmetics claim to contain ceramides, and even further claim that they absorb into the skin, making it more youthful. Scientific research has not proven this to be the case. However, scientific research has been much more favorable towards ceramides taken internally. 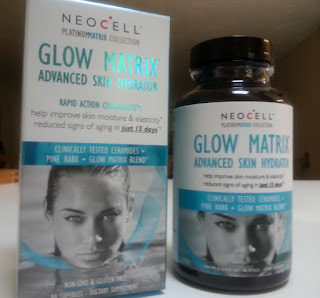 NeoCell Glow Matrix is taken in capsule form, and has a premium collagen matrix blend plus a ceramide blend that is both bioavailable and bioactive for maximum absorption. The Rapid Action Ceramosides have been clinically tested and have been shown to increase smoothness, moisture, and elasticity in just 15 days! My results taking these 3 supplements were interesting. I must admit that the Biotin Bursts were so tasty that they were gone within a few days. A serving is supposed to be one chew, but I easily consumed about 5 - 6 per day. Just being real here! I can safely say that I experienced no ill effects from my indulgence. I'm sure that my biotin levels were above normal and my skin and hair are thanking me for it! I assimilated the Glow Matrix and Derma Matrix into my daily supplement routine. The main thing I've noticed is that I previously had some dryness in my upper arms and lower legs, both of which have been diminished! I am very pleased about that development! So again, NeoCell has shown that nutrition does make all the difference and that it's smart to supplement! update 7/30/16 - I have continued taking the supplements and continue to be impressed. I feel like my skin literally glows and has acquired a more youthful look! Regular and daily use have indeed helped! I have been taking both the Derma and Glow Matrix daily, along with my other regular nutritional supplements. In cooperation with the FDA, any nutritional claims stated here have not been evaluated by the FDA nor do they claim prevention, treatment or cure of any disease through the use of these products.